The 2019 Women’s Development National Team tryouts scheduled for Saturday, Feb. 2, were postponed due to rain and rescheduled for Sunday, March 24. 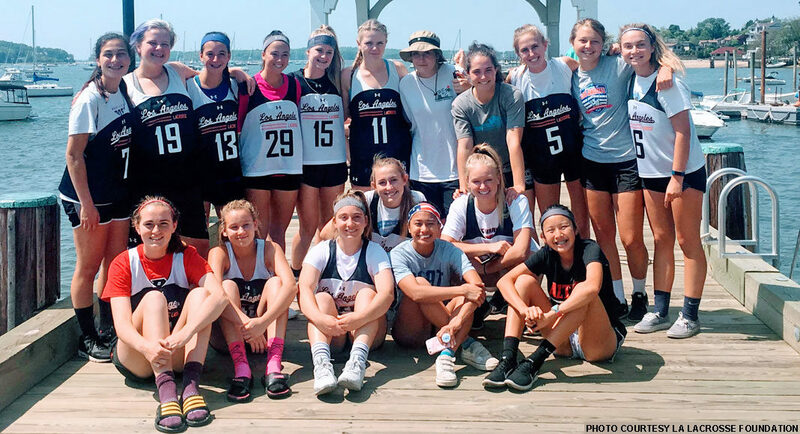 The tryouts are to select high school players for the Los Angeles squad that will compete in the Women’s National Tournament in Baltimore over Memorial Day Weekend. This year, tryouts will take place midway through the high school season to allow more time for the team members to book flights and hotels. These tryouts are open to all girls high school players in grades 9-11 who reside in the Los Angeles Lacrosse Foundation jurisdiction, which is roughly from Santa Barbara to Palos Verdes. Selections will be made immediately after the tryouts, and formal invitations to be a part of the WDNT will be sent out promptly. This experience is a great way for young players to gain exposure from high-profile NCAA programs as coaches and scouts will surely be in attendance at the 60-team tournament. In addition, coaches for the team can still be nominated HERE and will be announced some time in the near future. Tryouts will be held at Mira Costa High School on Sunday, March 24. Attendees must bring their email receipt of registration, water and appropriate gear. All shoes are acceptable as the field is “long” turf. It is also advised to arrive 30 to 45 minutes early to ensure that all paperwork is in order. Links to registration and all other information is listed below, and questions and concerns may be emailed to LALF board member Maddy Morrissey, [email protected]. Last year, the National Tournament was held in Long Island, N.Y., where the LA team went 2-2 with two wins over a Connecticut-based team and losses to Tennessee and Maine. WDNT Tryouts were rescheduled to Sunday March 24th. Thanks. Updating article and calendar.